Having spent over twenty years in I.T. and over seventeen years in networking, Iíve worked with a lot of Network Engineers. Career progression has always been a hot topic. Iíve always been interested in learning how people have found themselves in the job they now do. Until the Cisco certification bandwagon really got going about twelve years ago, there was very little structure in the profession of ëNetwork Engineerí. People tended to be measured on the manufacturer courses theyíd attended and the bragging they did about the networks theyíd designed, fixed or broken. I was always more impressed with the size of the broken networks. Anyway, now, thanks to Cisco Career Certifications we have a method of ëmeasuringí peoples networking ability which other networking vendors have copied. However, speaking as someone who regularly hires Network Engineers, youíre going to need a bit more than a freshly printed CCNP certificate to convince me that you should be let loose on our customerís networks. The goal of most Network Engineers I meet or interview is to become a Consultant. Usually their motivation is ëcareer progressioní which will lead to better salaries and enhanced recognition amongst their peers. Often, having the title ëConsultantí is more important than being a consultant. Most people understand that there is no short-cut or boot-camp that will make you a consultant; itís a combination of knowledge, experience and good judgement. Here are ten things that Iíve learnt and that I will think will help any Network Engineer develop towards being a consultant. 1. Assume you know nothing and take time to understand your customer. Listen to your peers, listen to your customers learn from their experiences. There is always someone who knows more than you and he/she maybe across the table from you listening to your ëdrivelí. Understand your customer, understand their needs, understand their frustrations, understand their motives and understand their skills. Listen to what they have to say and try to empathise with their problems. 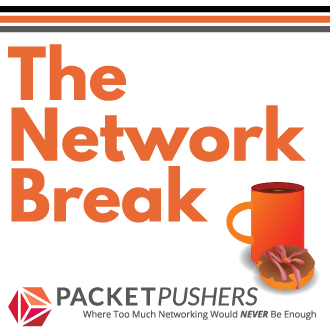 Generally Networks are built to enable business, make sure you understand that business. 2. Develop your soft skills. Consultancy is about communicating your ideas and opinions. A lot of great ideas have been lost because of a failure to communicate them. Learn to use Visio (or whatever drawing package youíre comfortable with) time spent learning to use the many features of Visio is never wasted. Also learn to use Word, Excel and PowerPoint (please, please donít start arguing the merits of open source software and explaining that Microsoft is Satan come to Earth in a software format; youíre here as the network guru, remember). When you have to present your findings or communicate your ideas, think carefully about how you are going to do it. A picture or graph is generally better than a 100 words. Understand your audience and be aware of their attention span. 3. Learn to write Management Summaries. Why? Because managers make decisions, I’m sorry thatís generally the case in most organizations. They hold the purse strings, are very busy and donít always have time to read your 56 page analysis of why migrating to OSPF from EIGRP would be a really cool thing to do. Itís a sad fact of the ëcomputer ageí that peopleís (especially managerís) attention spans have shortened due to information overload. They tend to read the beginning and the end of a proposal and ëskim readí whatís in between. Think of the Management Summary as a trailer to a movie, a good Management Summary will get the reader interested and read more of the document. If you want to convince someone to take a course of action then the Management Summary is the place to focus onÖ.. Sad but true. 4. First impressions do count. Whilst a freshly printed CCXP certificate may impress your mates and your Mum, it wonít impress your average IT Manager whoís network is in meltdown. His first impression of you will be what you look like or what you sound like. So make it count. Listen to what they have to say and choose your first words carefully. Acting like an expert is a lot easier than sounding like an expert, try and keep the impression going for as long as possible. 5. Donít alienate anyone. Generally IT projects or major troubleshooting events involve people from various aspects of I.T. as well as the ëvictimsí from the Business. They all have an opinion and they are all generally experts in their own areas. Respect their knowledge. They may be bigoted, opinionated and anti-networking, but it is your job to gently show them the error of their ways and guide them to the path of enlightenment regarding TCP/IP. Plus the fact, it may actually be the network at fault and you may end up needing their help. 6. SNMP Management, Syslog Collectors and Packet Sniffers. Learn how to really use these tools. SNMP runs on almost everything in the network and itís just sitting there with the answer to a lot of problems. You just need to know how to pose the right question. Analysing syslog messages takes time and requires patience but it often helps uncover the cause of a problem. Having WireShark on your laptop is all very well, but do you know how to write filters, use regular expressions and follow a TCP conversation? 7. Fix the cause and not just the symptoms. When troubleshooting your goal should always to understand what caused the problem and how it can be avoided in the future. Any fool can clear up an oil leak, but it takes skill to stop the leakÖ. And even more skill to preventing it happening in the first place. 8. Document everything. When troubleshooting, if you donít fix it after your first tracert, then get out the notebook and start drawing diagrams, noting down changes and recording when things happen. When youíre designing a network make sure you get all the information together in one place. Requirements, performance information, data sheets, test results, etc. It may be you that has to come back to fix it or upgrade it. 9. Only use agencies as a last resort and write good covering letters. When you feel the need for a new job then do your research, pick the industry, location and environment carefully. Take time to write customized covering letters for your cv. Remember, to a Recruitment Agent you are worth between 12 – 20% of your Year 1 salary, so most of them would have no qualms about putting you in a Russian Gulag if they happened to be paying well. Approaching a prospective employer direct shows initiative and can save them a lump of cash. Make sure you understand their business. 10. Stick to Networking. If a customer tells you that their marketing department have decided texting is going to be the start of whole new social networking paradigm, then just agree with them and build the network. Remember, we are Networking Gods not Marketing Guruís. I’m in this case… so, your recommendations are really useful, I understand and agree with them. 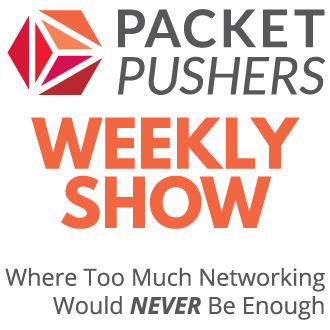 Can’t wait to listen the next packetpushers show ! I especially like this line: “Having WireShark on your laptop is all very well, but do you know how to write filters, use regular expressions and follow a TCP conversation?” and about using Visio, Word, Excel, and PowerPoint. I use PowerPoint and Excel a lot in my current job. Business live off it. And As a network professional you are going to have to be well rounded. If your not I’m sure someone else who is will get the job, even if they may be a little less skilled in networking than you. Great advice! I’ve been a sys admin for 3 years now and I’ve only scraped the surface. There’s so much for me to learn and I’m still trying to figure out what path I want to take.. which I’m leaning on towards security. I think for you to create a series of articles on this topic would be very helpful for others and I’d gladly share it. Great Post!! So many valuable suggestions! ! Great post. Actually the Novell CNE was one of the first Network Engineer type certifications to form a basis for a career model. Consulting is not easy, you have to be salsey(sic), technical, self disciplined with your own time and education and able to handle risk. You have to be patient, listen, learn and know when to speak and choose your battles. The last post is subjective to your level of consulting. If you are hired for objective input some clients appreciate a no man vs. a yes man. But again if you have to eat well…..
Nice post, I would also add that being familiar with both Microsoft and some *nix would be of value. If you are predominantly a Windows user, at least get to install/use Ubuntu or something simple to get your head around it. I think not being fixated with specific tools or operating systems helps. learn what optics are all about because your network uses them – dont bend/pinch that glass! Very nice Article. Thanks for such a wonderful information.